I tweeted today that someday, I want to make a video of all the faces that doctors make while they're doing colonoscopies. Our GI colleagues are as talented as they are brilliant, but as we all do, they sometimes make some funny faces while they're working. And since I'm almost always standing directly across from them, I get to see the full spectrum. Here are a few favorites. Haha love the concentration face. I make that face when I sign.... My ASL professors used to make fun of me. 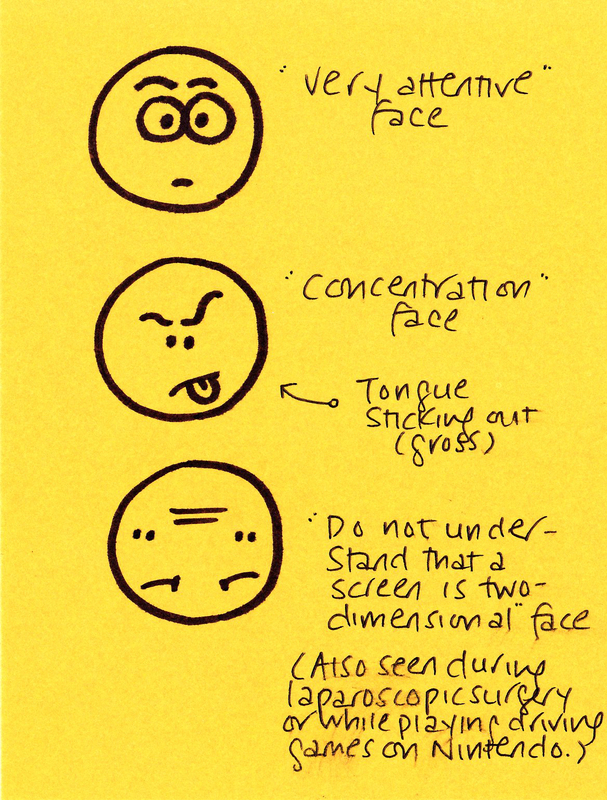 It’s actually not good considering facial expressions are important part of sign language and I’d be signing something serious with my tongue sticking out..
Also use tongue face while fighting with laproscopic instruments, which clearly are not made for small handed people. It’s good thing I only operate on training models and not real people. Yay! Comics! Moremoremormore! More! 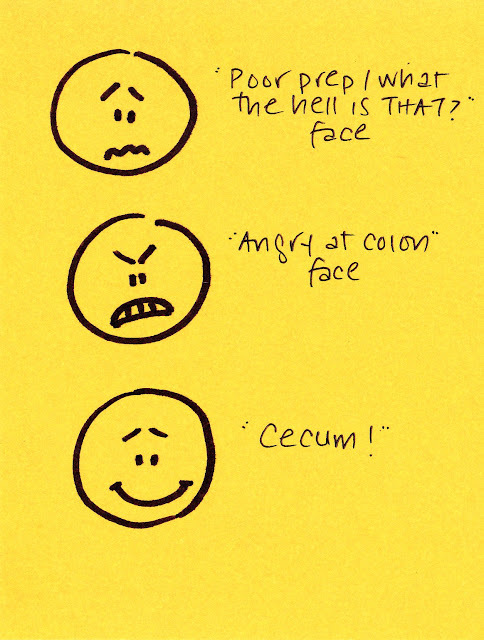 Thanks creating this, my favorite is the "angry @ colon face"
'Cause the colon is not sterile. However, if I were a GI, I think I might wear a mask (see: "poor prep/what the hell is that?" face). I like the ones who perform the scope is a shirt and tie without a gown. I was thinking about your post today while I was making the "concentration face" (complete with tongue sticking out) while writing notes in patients' charts. Thanks for the laugh (and for making me feel self conscious at work). I love these! I probably make the 'concentration' face 5x a day (mostly at things the nurses can do in their sleep, so someone's usually talking a mile a minute at me while I'm wearing it, leading me to wonder why they can't see my concentration face!!!!). We provide anesthesia for endoscopies when the GI doc or the patient ask us to help. It's almost always a much smoother experience for the patient with the assistance of anesthesia, but if a patient doesn't want our help, that's fine too. You yourself are free to refuse anesthesia for your GI procedure if you want, in the spirit of conservation or traditionalism or just because, like my dad, you want to go to work immediately afterwards. 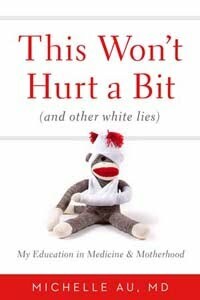 But for almost all patients, it's neither a waste nor overkill, it just makes things better (and, I daresay, safer). There are plenty of things we didn't do in "the old days," (including labor epidurals, PCA pumps, pulse ox monitoring, or resident work hour regulation) but that doesn't make them better. It just makes them older. Fantastic post. I have loved your comics for so long and I appreciate your book. I'm glad patients can't see my C. Diff face. I look acutely like I'm going to puke standing outside the room. Lol...my attending for my clinical courses is a GI and those faces are pretty much spot on. There's one fellow in particular who can't work the colonoscope well, and the angry face is her pretty much all day, everyday!